Is the word "dude" becoming gender neutral? I don't think so, however, has modern usage changed? Are there some recent examples of "dude" being used to refer to a woman or group of women? It is common in my experience (woman in US, 26, liberal hippie type) for groups of women to be called "dudes" or "guys" by both men and other women, but not for individual women to be called a "dude" or a "guy." One exception seems to be in greetings using "dude," as in, "Hey dude!" I've been calling female friends in the UK "dude" for years and nobody's yet found it to be unusual. Personally I would feel quite creeped out if a male individual would address me with dude and I have not seen the word dude used as a gender neutral term. If a female individual would address me with dude I think she could get away with it, but it's not something I have actually seen. (slang, often humorous) Term of address for a woman. (slang, often humorous) A cool woman, especially a surfer or skater. A female dude, i.e. a cool female. although as stated this usage is often a bit joking and humours rather than serious. For that matter, it can also be pointed out that dude is still only defined as a male term in the dictionary I checked. I have noticed "dude" being used as a gender neutral pronoun by people in their 20's. I am in my 40's. It sounds odd to me. I have only heard it used to include women when used in certain case forms. Second-person singular: seems to becoming more common, but this sounds strange to me. Example, "Settle down, dude!" Second-person plural: this is common, and doesn't sound that odd to me. Example, "OK, dudes, settle down and pay attention!" Third-person singular or plural: I have never heard these forms used to refer to a woman or women. The word "dude" is a bit like the word "guy". You commonly hear people use "guys" in second-person plural to include women, but I have not noticed people using "guy" in second-person singular to refer to a female. As you can imagine, the usage is beginning to blur, as with many gender specific terms. I'm glad you didn't ask where the word 'dude' came from (that is a can of worms!). My own theory is that it is from the Spanish 'Duende', which is something that suggests power, dignity and bearing. Flamenco artists use it to describe those amongst their own profession who are at the peak of their game. A possible transmission route through Spanish America to the Old West suggests itself. But in Spanish, 'duende' was (as I understand it) generally a male-specific term. Starting as early as the mid 1990s, according to the TV kid/adolescent sketch comedy show All That - as well as the 1997 film Good Burger - Americans were being strongly lobbied by a movement that insisted 'dude' is indeed gender neutral. The fact that they needed to be so explicit would seem to be evidence that they expected people to disagree - and indeed there were scenes and skits depicting characters who took issue with being called 'dude'. The early late 1990s and early 2000s were a time of conservative social pushback, however, as evidenced by the film Dude, Where's My Car? where the term was largely reserved for males (both gay and straight). 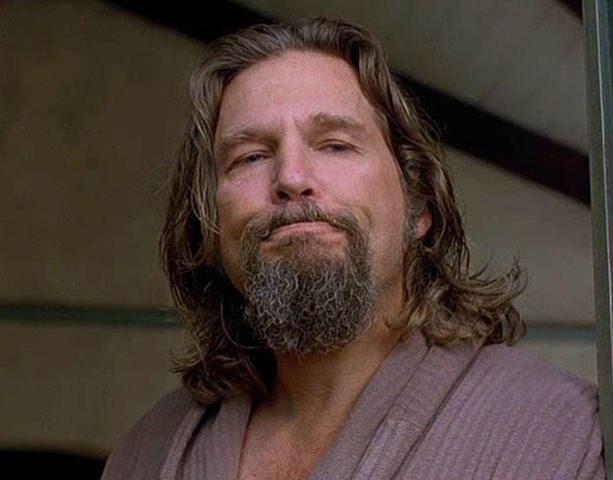 In the film The Big Lebowski (1998), The Dude was a male character - though notably male persons were not addressed as "dude", but rather as "man". If you don't agree with this analysis, "Yeah, well, that's just, like, your opinion, man." In American culture, at least, 'dude' has a history of being used to indicate - rightly or wrongly - uneducated, crude, or unrefined types (not merely surfers and skaters, but hippies and basically anyone who did not strongly associate with the "stiff shirt" upper-society and professional business types). It is not an accident that the media has portrayed characters using the word as idiots, and there is always an extent to which this bias both reflects and bleeds out into common society. In summation: 'dude' is a word in flux, man. So don't, like, let it get to you dude. Like much of a common spoken language, they are terms that are often best avoided in formal settings where a more "proper" form of the language is expected. And be careful who you call buddy, pal, or friend, too. Mid-30s, Southeastern US - Dude might be used in the 2nd person to refer to a female ("Dude! What are you doing?!?" - in my head I'm hearing it in an exclamatory way), but much less likely in the 3rd person if the gender is known female - "chick" being the more likely counterpart (a word that is rarely, so far as I know, used in the 2nd person). It might be used in a gender neutral 3rd person context if the gender is unknown or non-specific ("some dude left it here..."). If I'm using 3rd person gender neutral, I say "guys" for any non-specific group, "dudes" if I'm being casual and/or playing up the "average-ness" of the group for giggles. I speak this way with my wife and she speaks this way with our daughter. I hear it around the office among the women. Dude has become an informal, universal sobriquet. The usage of dude, like many other words in transition, varies by geography, ages of speaker and spoken to, and relative status. Herewith the testimony of a woman of retirement age in the DC area: I would be very surprised to be addressed as "dude" and somewhat offended, unless the speaker were exceptionally charming. This is in contrast to "guys", which I have totally accepted for years. From recent first hand experience, I can attest that waitresses and waiters (waitpeople?) in Colorado use "you guys" as a matter of course. If I found that offensive, I would have starved! None of them used dudes to a group of which I was a member. My tennis friends and I often say "guys" when speaking among ourselves. We never say "dudes". Our pro sometimes says "guys", but usually "ladies". He has never ventured into "dudes". At my funeral, I hope someone will say: "She was a great dude". But I am not ready for it yet. Conclusion: "Dude" is becoming gender neutral, but be careful with whom you use it. throughout my introverted years of high school I did a lot of listening, and I believe that "dude" has definitely become gender neutral. I would hear guys calling girls "dude" and even girls calling girls "dude". I believe it is more of a way to get someone's attention than anything else. Not the answer you're looking for? Browse other questions tagged word-usage hailnames or ask your own question. Is “sit-in” used to refer to neutral contexts? Word for friend with female origins?